KFSM: Let's Make a Deal? 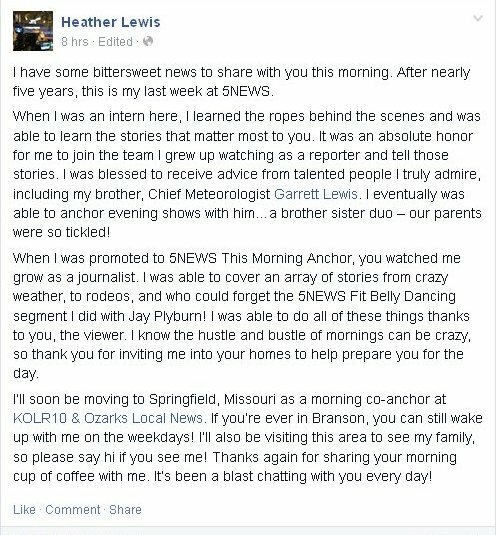 KARK Viewer Says Station Changed Logo to "Colors of Gays"
NBC News has announced Lester Holt will become the permanent anchor for NBC Nightly News. Brian Williams will become an anchor for the network's cable news channel MSNBC. NBC News execs say Williams will be the anchor for breaking news and special reports. Read the entire story HERE. And she's never coming back..well never say never..
Carly Flynn Morgan has left KTBS and is apparently headed to WPXI in Pittsburgh. 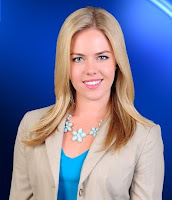 Morgan joined KTBS/Channel 3/Shreveport in Decemeber 2013 and the rest as they say is history. KFSM TV 5 in Fort Smith announced on its 5 PM newscast that their newly announced anchor was arrested for DWI over the weekend. Liza Danver was arrested by Arkansas State Police. Heather Lewis was filling in and Darren Bobb as well as Garrett Lewis were both absent from the set. Wonder who will bite the dust next at the station. 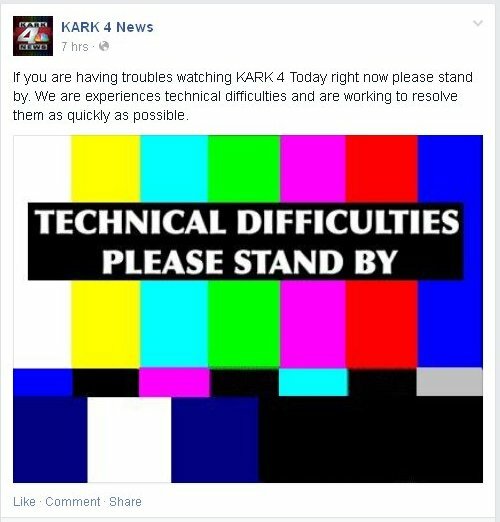 KARK off the air for over an hour. Only one post on their facebook page about it. Either they have no viewers or they are deleting the angry posts about them being off the air. its 6:40 am now, and it's been over an hour. Todd Yakoubian changed his Twitter handle last night from katvweather to just Todd Yakoubian. 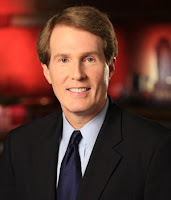 Is he leaving Katv? To answer your question about Todd, everyone at channel 7 is required to get separate Twitter handles per Sinclair Broadcasting policy. Source: KTBS.com KTBS 3 Sports Director Paul Crane bids farewell to the Ark-La-Tex, as he takes advantage of a new opportunity overseas. He'll be joining the Universal Basketball Association of India, as well as the Elite Football League of India, in order to announce play-by-play for those teams. It's a new U.S. venture and Crane says India is fertile ground for sports expansion and that this is a chance to introduce those sports to residents there. 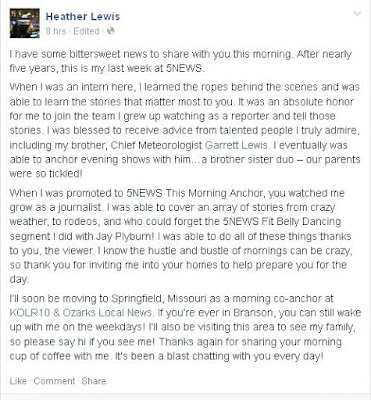 KARK/Channel 4/Little Rock has a new team member. Victoria Price came on board Monday, June 1st. Price comes to Little Rock from KAMC/Lubbock, Texas. At KAMC Price was an anchor/reporter. Jonesboro has a new Fox Station. It's called KJNB 39 its on channel 13 jonesboro cable It is based out of mediran miss right now. it shows no news weather but it says it has big ideas big plans but right now 5 days in its CW with FOX'S prime time schedule.